After a staggering rebound on Friday, the cryptocurrency market cooled heading into Saturday, as prices plateaued and saw a slight pullback from their weekly highs. Bitcoin, for one, moved back down to $6,680 from $6,780, while altcoins like Stellar Lumens, Cardano, Tron, and Neo saw 4% declines. Even amid this slight decline, which may not be as bearish as some may think, Dogecoin (DOGE), a popular joke cryptocurrency that originates from a meme of the crypto’s namesake, still remained in the green. For those who haven’t been in the loop, Dogecoin has had a stellar month, rising by over 130% in fiat value ($0.0025 to ~$0.006) over the past three weeks, as covered by Ethereum World News on multiple occasions. So the fact that the digital asset, which has a strong community backing it, hasn’t seen a sharp retracement is a positive sign, to say the least. 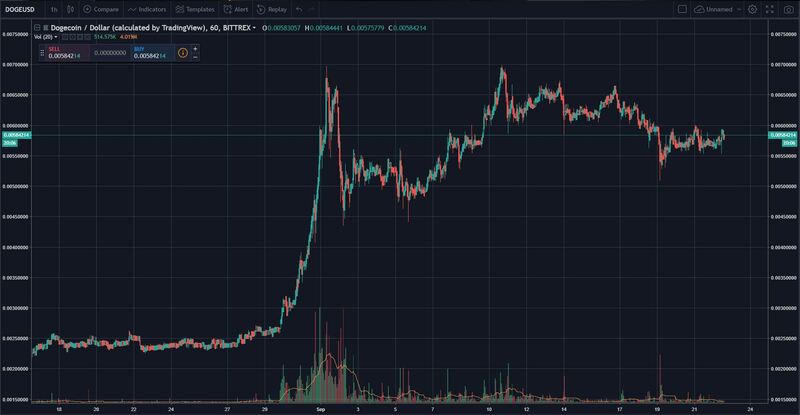 At the time of writing, a single DOGE is worth $0.0057 USD a piece and is up by 1.5% in the past 24 hours, which is quite bullish when compared to the losses incurred by other popular altcoins. Doge has also held its spot as the 20th largest cryptocurrency by market capitalization, which has cemented it as a digital asset to watch out for. 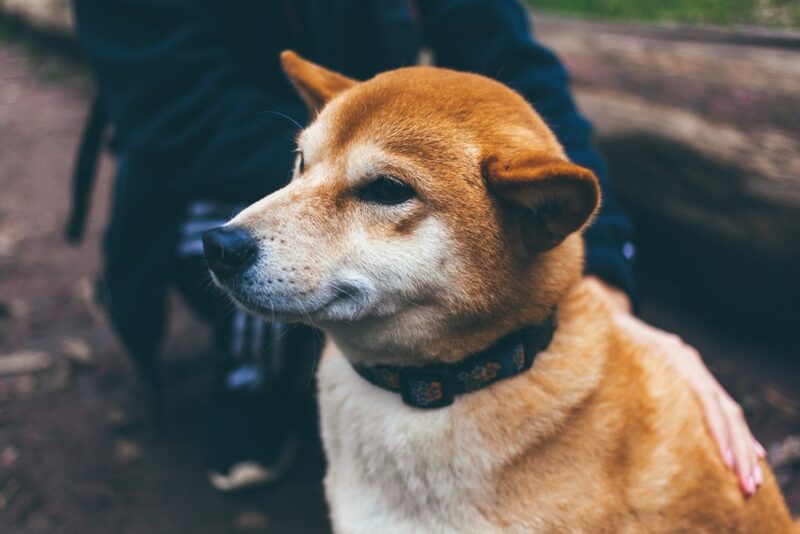 The Dogecoin-Amazon petition, which was mentioned in a previous article, has continued to gain traction in a variety of crypto circles. At the time of the previous report on the matter, the Change.org petition, which was created in a bid to get Amazon to accept DOGE, only had 8,000 signatures. But now, only a few weeks later, the petition has been signed by over 17,000 individuals across the web. Although DOGE support on Amazon may seem like an unachievable dream, many expect that Amazon will accept cryptocurrencies eventually, but whether it will be DOGE, Bitcoin or any variety of altcoins remains to be seen. On Friday, Bitrefill, one of the leading startups in this industry, announced that introduced support for its users to “convert [their] cryptocurrency to FUN (not the token, but the feeling).” For those who don’t know of Bitrefill, it’s a well-known, reliable cryptocurrency service that allows its users to spend cryptocurrencies in exchange for vouchers, refills, and gift cards. It initially gained popularity as a service that allowed users to top-up their phone bills, but as the service developed, it offered its thousands of users an opportunity to trade crypto for arguably better vouchers, which include Steam and Hotels.com credit. Back to the aforementioned announcement, now, you will be able to spend your Bitcoin, Ethereum, Litecoin, Dash and Dogecoin for “entertainment USD vouchers,” which include credit for SiriusXM, Hulu, Nintendo, Gamestop, and Groupon. Although some argue that this was likely not a price catalyst, this meme currency likely got a boost in popularity last week, as Elon Musk, the world’s leading entrepreneur, name-dropped Jackson Palmer, the creator of the Dogecoin project, on Twitter. After a short, closed-door conversation between the two, the cryptocurrency proponent issued an update on the situation, claiming that the Tesla CEO had received the script, which sparked a conversation about how Twitter CEO Jack Dorsey, along with the team at the San Francisco-based social media firm, could automate anti-scambot solutions and fix the problem on their end. Again, while this unexpected conversation likely didn’t spark any form of notable price action, Dogecoin and its dedicated community likely gained a quite a few followers on that day alone.